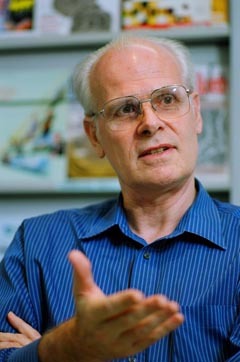 Michel Van Hove is a distinguished professor of physics who currently chairs the Institute of Computational and Theoretical Studies of the Hong Kong Baptist University. An academic career spanning four decades has focussed extensively on the determination of atomic-scale structure and bonding that occurs at solid surfaces and within nanostructures. Much of his scientific research was conducted while a member of the research staff of the Lawrence Berkeley National Laboratory and as a member of the faculties of the University of California Davis and the Department of Physics and Materials Science of the City University of Hong Kong, where he served as Head of Department and Chair Professor of Physics. As part of his extensive scientific research activities, he has published many studies on the topic of Low-Energy Electron Diffraction and on the atomistic basis of surface science, nanoscience, and their many related technological applications. He serves on the editorial boards of respected scientific journals including: Surface Review and Letters, Physics of Low-Dimensional Structures, International Journal of Nanoscience, International Journal of Nanoscience, The Open Condensed Matter Physics Journal, and, Communications in Computational Physics. There are numerous technological applications involved with the geometric and electronic structure of solid surfaces, ranging in scope from catalysts, to electronics, to biology, and many more possible applications that continue to be explored. For readers who are seeking a useful and accessible introduction to scientific developments relating to nanotechnology, Michel Van Hove's article in Catalysis Today: From Surface Science to Nanotechnology provides a thorough overview of the interaction between the science and technology in this rapidly developing field. Van Hove's writing and editorial work also extends to a number of advanced textbook volumes relating to atomic surface structures, surface crystallography, and photoemission. 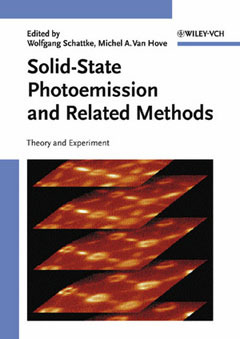 Solid-State Photoemission and Related Methods is a handbook written by experts in the field that covers one of the principal techniques for the characterization and investigation of condensed matter systems. It provides the theoretical foundation used by experimentalists and theorists to address the geometric and electronic structure of solid surfaces and interfaces. This volume also describes many techniques for data acquisition during experimentation, while providing details about the physical models used for direct data interpretation. Surface Crystallography by LEED: Theory, Computation and Structural Results is a collection of studies relating to the structure and properties of single-crystal and other molecular surfaces. It explores the wide diversity of contemporary surface science represented by both well established and promising new surface-sensitive experimental techniques. Michel Van Hove has written number of commercial and academic software applications that enable researchers to simulate low-energy electron diffraction patterns and intensity, and he has produced a widely used database of solved surface structures. His research in surface scanning, microscopy, and holography is supported by these software tools that he has made available for scientists to use for related projects. While designed specifically for molecular surface research, his software applications provide useful tools for scientists to facilitate related scientific projects.